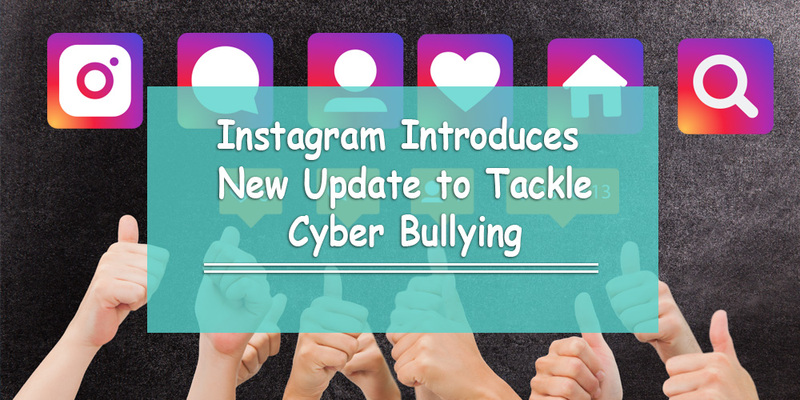 What is Instagram doing to prevent cyber bullying in 2016? Well, as part of their commitment to make Instagram a safe space for people to express themselves, they unveiled something to further prevent the issue. What Is This New Instagram Tool That Prevents Cyber Bullying? 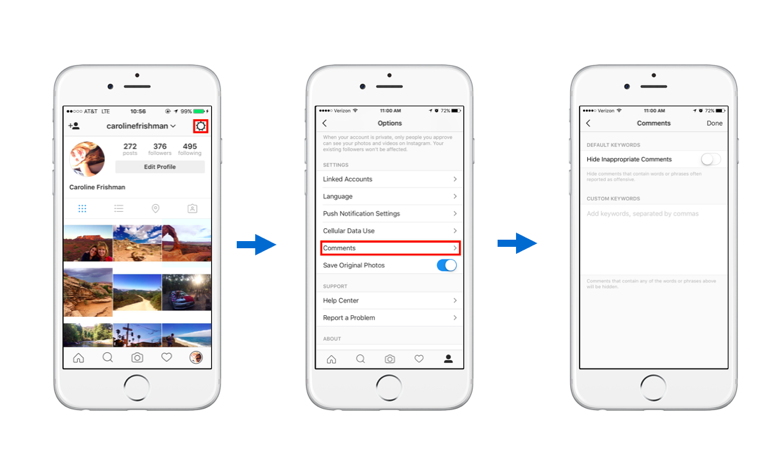 In September 2016, Instagram launched a new comment moderation tool. It allows users to ‘flag’ keywords they don’t want to appear in the comments sections of their pictures. 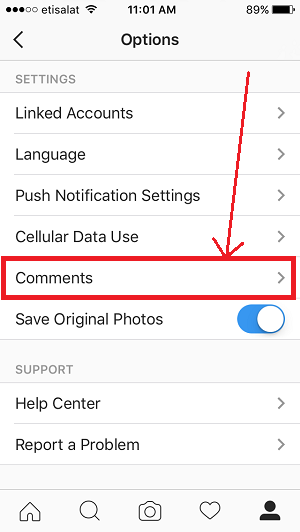 Instagram’s default comment moderation option hides inappropriate comments based on a standard list of keywords; this is based on research Instagram has done. Along with the default keywords Instagram disallows in the comments section, you can also choose your own list of words that you don’t want to see on your images. This helps gives you – the Instagram user – the power to select words you find inappropriate. If someone uses one of the terms from your customized list, their comment will be blocked from appearing in your comments section; no one else will be able to see the comment either. 1. Hit the Gear icon in the top-right corner. 2. Select the ‘Comments’ option. 3. 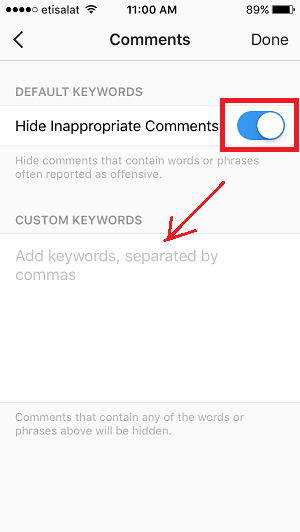 Turn on the ‘Filter Inappropriate Comments’ option; adding additional words is optional. Social media companies struggle constantly with drawing a line between the freedom to express yourself and the ability to protect their users. 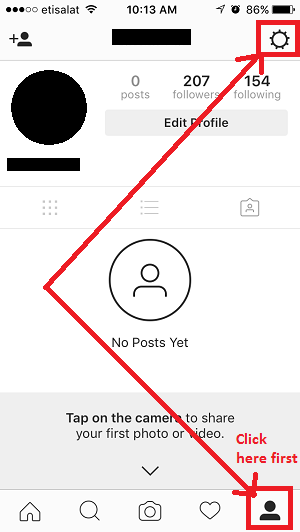 There is no perfect solution yet, but a comment moderation tool on Instagram is definitely a step in the right direction for those who want to don’t want to see certain words appear in their images. The beauty of the Instagram community is the diversity of its members. All different types of people – from diverse background, races, genders, sexual orientations, abilities and more – call Instagram home, but sometimes the comments on their posts can be unkind. To empower each individual, we need to promote a culture where everyone feels safe to be themselves without criticism or harassment. It’s not only my personal wish to do this, I believe it’s also our responsibility as a company.